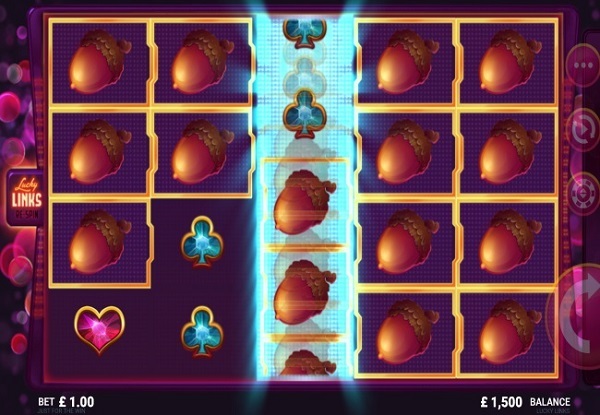 Here's a superb new online slots game from Yggdrasil Gaming, discover here about Easy. 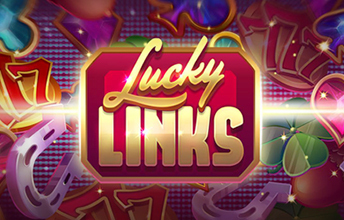 “Lucky Links” is a lavish online slots game that brings an element of class from the choice of symbols and themes used. Designed to bring good luck to its user, it incorporates four lucky symbols into its game-play as well as the four card suites for simplicity. The lucky symbols are as followed: The Four leaf clover; each leaf has a representation of either love, hope, faith or luck. Next, the Horse shoe; normally hung above doors with the two ends facing up to ‘attract’ any good luck floating around and also to potentially ‘warn’ off evil spirits nearby. The Acorn; considered to be lucky across different cultures, dry acorns where carried by the English during the Norman Conquest to protect them against the brutalities of each day. Last but not least, Number seven is considered to be lucky in Asia, as there are seven days in the week, colours in the rainbow, the number of continents’, sea’s and wonders. join & play today! “Just for the Win” has really gone all out on their latest development “Lucky Links”. The game itself works on a standard set 25 line stake system; making it both easy and simple for both returning and new customers alike, to play. All you have to do is determine your stake. “Just for the Win” is well established amongst the online casino community and what makes them special is the versatility and easy transition of their slot games between multiple devices and hardware. easyslots.com has all of Yggdrasil Gaming's best slot games for you to try. Your goal for this game: collect as many coins as possible! 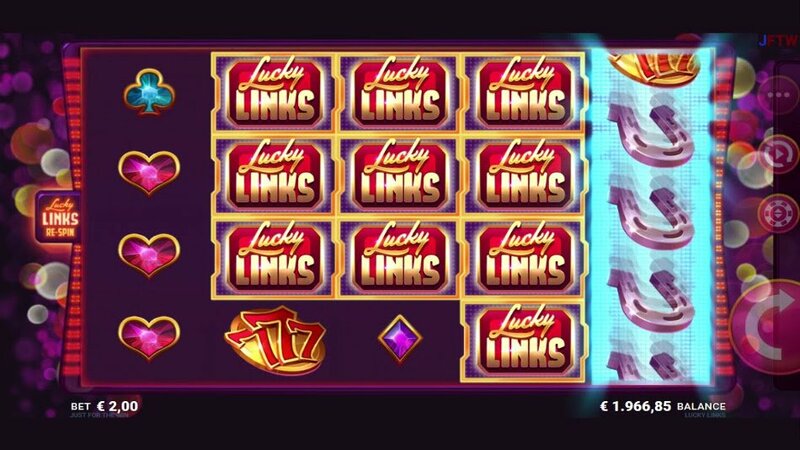 There are many ways to accumulate coins in this slots game; however the easiest method would be to collect symbols. The coin system is ranked in chronological order: collect a symbol three, four and five times for your win to be multiplied, the number your win is multiplied by, becomes greater for each symbol collected (maximum five). The symbols are broken down into low pay and high pay symbols. The low symbols consist of the card suites: clubs, hearts, diamonds and spades, with the reward multiplication ranging from ‘0.2’ to ‘1.2’ coins. The high pay symbols comprise of the ‘lucky symbols’ and the factor of multiplication ranges from ‘0.3’ to ‘7.5’. A free spin, this allows you to have a go without paying credits and is a fantastic way to add to your treasure. A wild symbol, this will substitute your basic symbols for winning symbols, increasing your plunder. Random Multiplier, this will randomly multiply a win. Bonus rounds are available; this is a game mode which can massively increase your score.